As conveyed in previous reports, Apple may have plans to axe USB-A/Lightning-based charging in favor of adopting the more ubiquitous, next-generation standard, charging via USB Type-C, which would enable fast-charging on devices like iPhone and iPad models due out later this year. Evidence found circulating Chinese social media last month, which was corroborated in a subsequent ChargerLab blog post, hinted that Apple could have plans to package a newer, more powerful and aesthetically redesigned 18W USB power adapter alongside new iPhone (and potentially iPad) models expected to ship this fall and beyond. 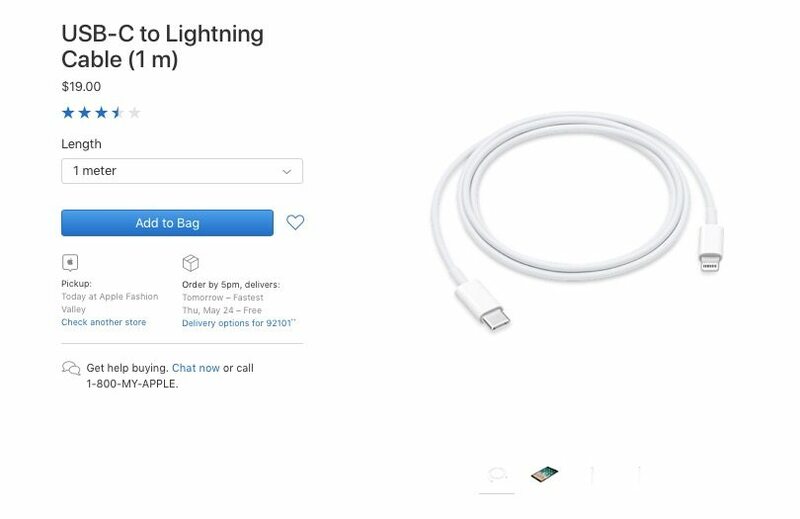 Now, 9to5mac is noting an apparent price drop in the cost of Apple’s standard 1m (3.3-feet) Lightning to USB-C charging cable, currently available in store and via Apple.com. Previously available for $25 as a standalone cable accessory, Apple appears to have reduced the price of its USB-C cable by $6, bringing the cost down to just $19. Ironically, $19 is the same price you’d currently pay for Apple’s still for-sale (but functionally outdated) USB-A to Lightning cable of the same 1m length. It’s worth pointing out that the upgraded Lightning to USB-C cable in itself won’t give you the whole fast-charging experience wrought by newer iPhone models like the iPhone X. In addition, users will need to pair their Lightning to USB-C cable with a compatible fast charging USB-C power adapter — such as the unit along the lines of what Apple is rumored to be including in this year’s assortment of gratis iPhone accessories. 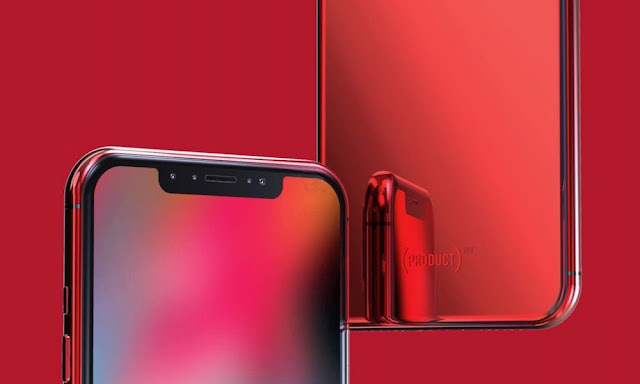 At present, Apple’s latest iPhone models including the iPhone X ship with a universal 5W power adapter touting USB-A connectivity. iPads, in comparison, ship with a slightly upgraded 12W USB power adapter allowing Apple’s tablet computers to juice up more fully over a shorter period of time. Based on current rumors, Apple could be planning a newer, dramatically redesigned 18W power adapter compatible with USB-C cables to ship as the new standard charging accessory for upcoming iPhone and iPad models. Apple currently sells several variants of a USB-C based charging adapter in the 29W, 61W and 87W capacities — the smallest of which is shipped free with the company’s 12-inch MacBook computers — starting for as low as $49. If Apple is indeed working on a new 18W power adapter, though, the unit would not only represent the potential for significant charging speed gains across the board, but will likely embody a new form-factor, style and technological prowess that’s uniquely yet innovatively Apple.